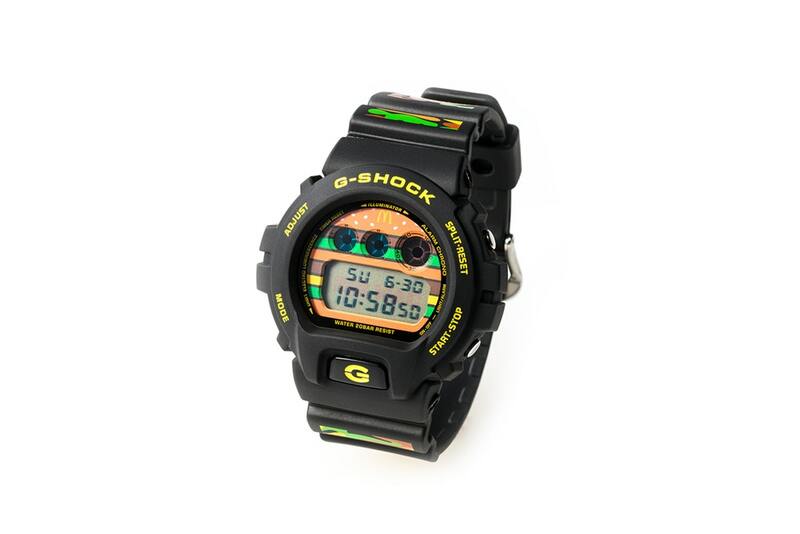 Casio G-Shock – I’m Loving It! We have recently seen the 50th anniversary of the McDonald’s Big Mac. The iconic fast food burger consisting of two burger patties with a bun in between, featuring the famous secret Big Mac sauce that you just cant get enough of! Now 50 years old, Maccy D’s have been finding new creative ways to celebrate, with Casio now getting involved too. Firstly we saw he introduction of the Grand Mac, and the Mac Junior, two varying size additions to the Mac family which were a huge success across the international outlets restaurants. However, this still doesn’t exactly connect the fast food dynasty to the world of watches. This is where Casio come in. 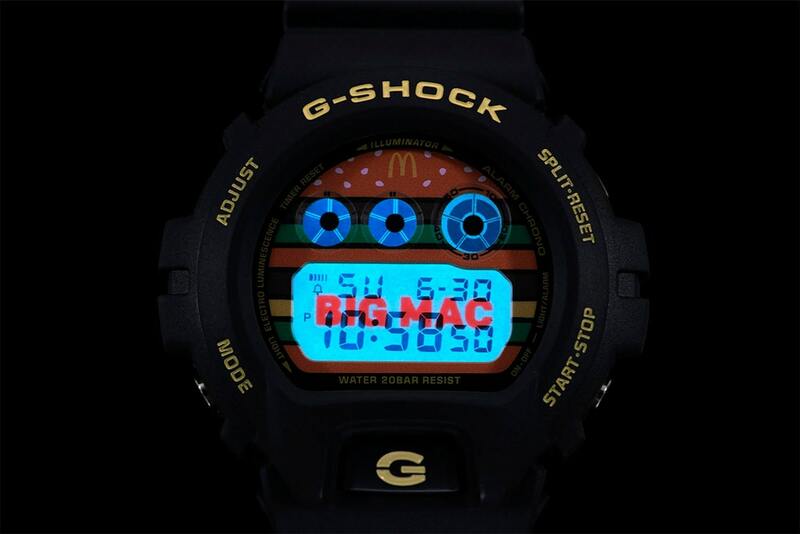 The Japanese watch manufacturers have teamed up with McDonald’s to create a unique G-Shock collaboration, in the form of a Big Mac watch of course. 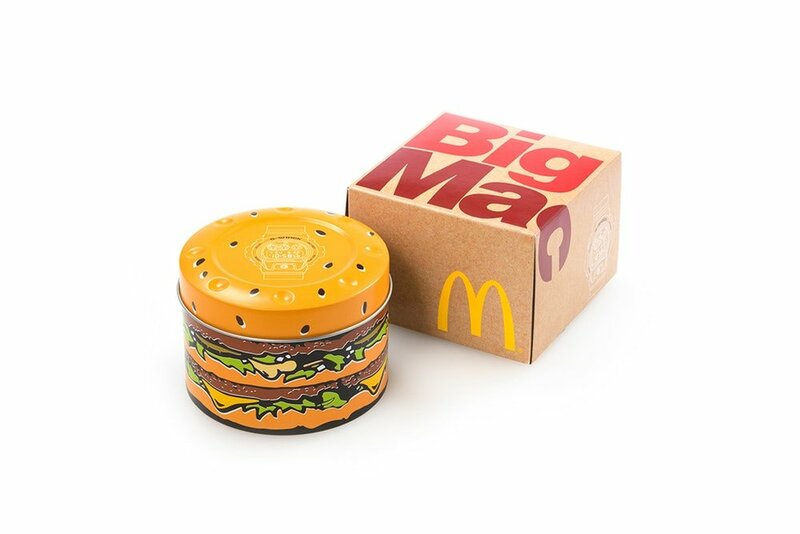 Delivered in a burger shaped tin the whole design motif, top to bottom, is Big Mac. 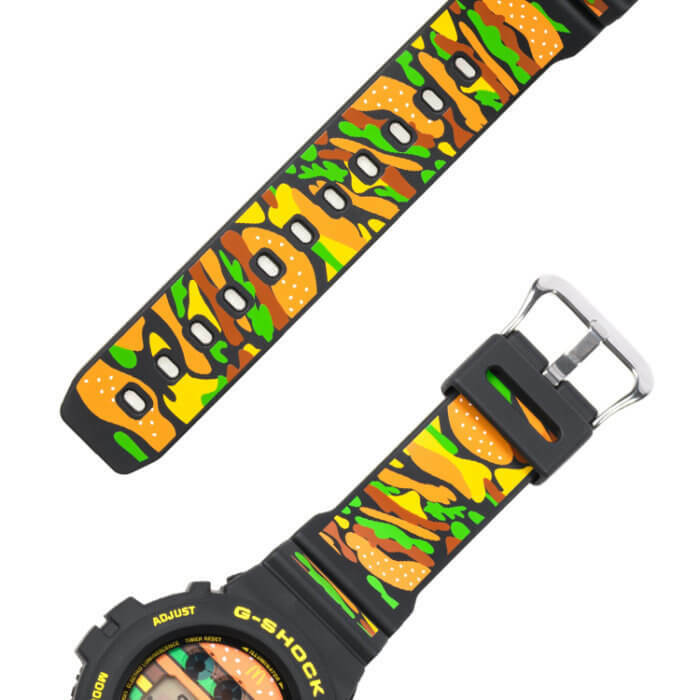 The dial of the watch features the Golden Arches at 12 o’clock, and a burger print background accenting the digital display in a ‘unique’ way, whilst the rubber strap continues the running theme with a Big Mac print. Unfortunately for us the watch is set to be a Japan-only model, so a difficult but exciting piece for collectors to sink their teeth into. 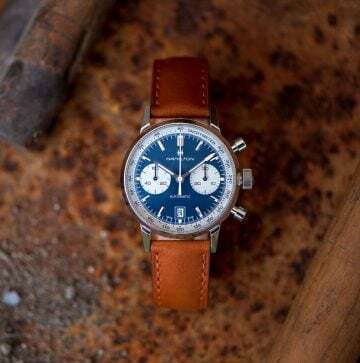 The fun, colourful aspect of this watch, backed up by the flat black gives the piece a great deal of wearability, and would be a great conversation starter. 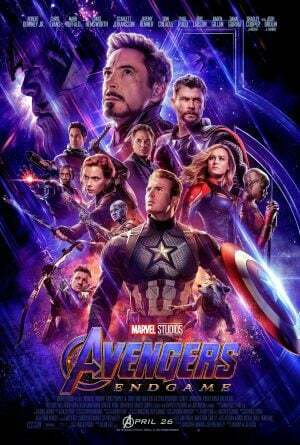 Avengers: Endgame – Who Wears What? Raymond Weil Music Icons Watches! 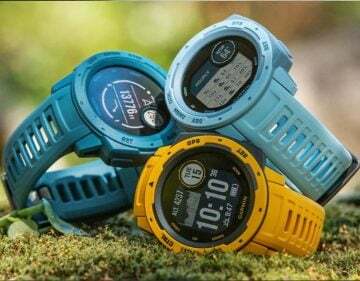 Brand New Garmin Instinct Watches!